This week we are welcoming back the lovely and super talented Lisa Addesa aka I'm In Haven in the Designer Spotlight. If you haven't visited Lisa's blog before then you are in for a real treat! I thought he would look adorable as a Polar Bear so I left him white and just added a touch of colour to his face and heart. 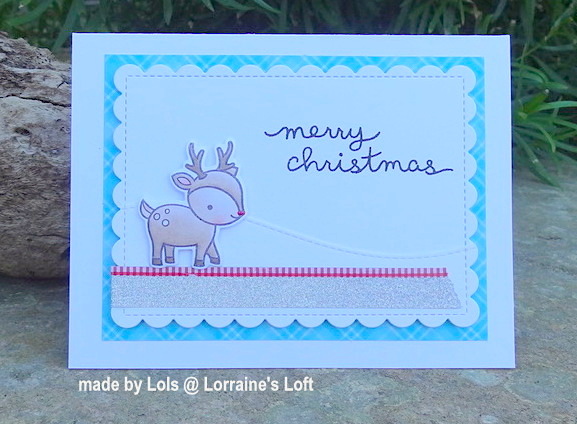 Hi all, I am here with a couple of cards I made for new theme just starting over on the ABC Christmas Challenge Blog. I simply coloured little Rudolph with copic markers and added a drop of red perfect pearls on his nose. 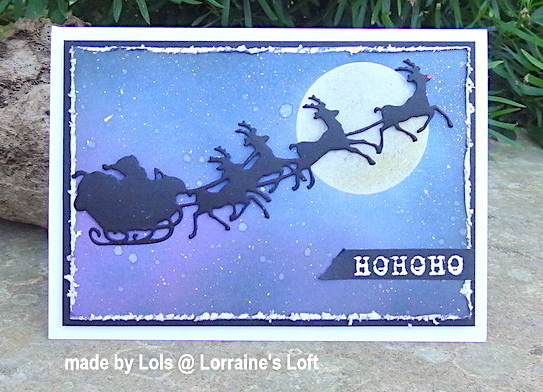 I used Distress Oxide Inks for the background, using a circle mask for the moon, and then used a distress tool to scratch over the edges. Thanks for looking! You have until 28th Feb to join in! 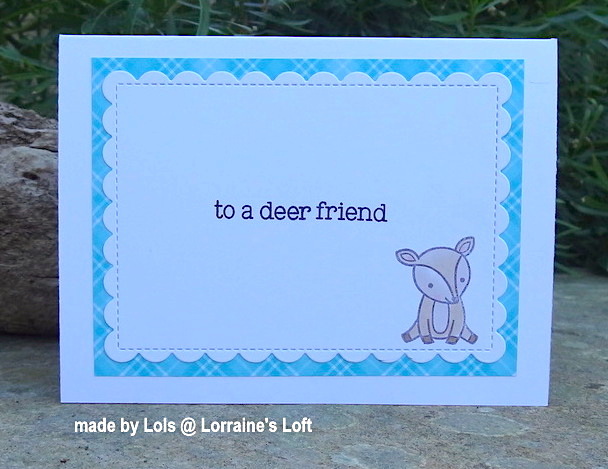 We are sponsored by the lovely Kelly Marie Alvarez, owner of Lawn Fawn, who will be giving away a fabulous $25 gift certificate to her online store!